to light of the sun. From the Second, Expanded edition of the scorched earth and its compact disc companion the scorched earth: spoken. 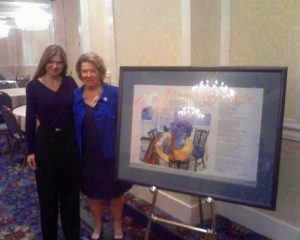 Today is the anniversary of the unveiling of the poem, Around This Table, that I was commissioned to write by The Pennsylvania Coalition Against Domestic Violence (PCADV) to honor their 25th Anniversary in October of 2001. Susan Kelly Dreiss was the catalyst for the formation of PCADV, calling a group of women together in her home for a weekend meeting that resulted in the establishment of the coalition, which was the FIRST statewide coalition in the history of the United States. I was honored by the request to write this poem and even more honored to have that poem developed into the poster campaign to raise funds for The Memorial Fund to honor women whose lives are lost to domestic violence. The poem, in this poster form, was presented to Susan after I read it for the first time publicly during the 25th anniversary celebration in Harrisburg, Pennsylvania, where PCADV is located. 3. And the establishment of outreach services designed to assist and empower victims and survivors of domestic violence in reclaiming their lives. Susan’s dedication and inventive resourcefulness has been an inspiration to me since our first meeting in 2001. She wrote the first domestic violence law in the history of Pennsylvania, helped write the Violence Against Women Act and was a founding member of the National Network to End Domestic Violence. 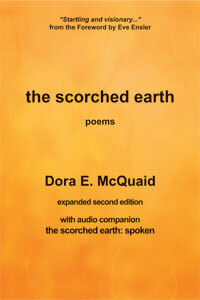 In 2001, Susan requested a recording of me reading my poems from my first book, the scorched earth, to use in trainings she was doing around the state, which led to the compact disc companion of that book, the scorched earth: spoken being released in 2002. A year later, she wrote a letter in support of my nomination for the Pennsylvania Governor’s Pathfinder Award, which I received in 2003. Susan and I then traveled to Wilmington Delaware to offer the keynote address together at the 10th Anniversary Celebration of The Delaware Coalition. When Susan retired from her position as the Executive Director of PCADV in October 2008, a post she served for over three decades, the Coalition flew me back to Pennsylvania to surprise her at her retirement party. Susan gave her retirement speech from the podium with the framed poster of my poem standing on an easel beside her. This photo of us together, next to the poster of Around This Table, was taken shortly after that last speech of hers as she motivated us all, yet again, to keep working together to end the violence that marks the lives of far too many people. My deepest gratitude goes to Susan for her inspiration, fine example of empowered activism and for her support and mentorship over the years, as well as to all of the members of PCADV and the many women and men working daily around the world to end domestic violence and to empower victims and survivors to reclaim their lives, one life at a time. The poster is available through the www.pcadv.org website by clicking here. All sales are donated to the Memorial Fund to honor women lost in domestic-violence related homicides. This is how I let myself live free. from which it gathered, beside me. that had nested in the multitude of us, growing. uncurled it is compassion, waving. This is my girl-child strong. This is my boy-child tender. They are part of the song. the grief unfurled, the shame exposed. with whatever tools our trades offer. This is how I move on. Hope is power. Love is hope. Well, hello, October. Come on in and sit down! Fall is upon us, my favorite season of the year. October has always been my favorite month, for all of the color and slipstream feel to it, the in-between time where we can begin to take into account all that the summer months of long light and deep warmth have offered to us. The very first poem I ever wrote to show was in third grade, called Autumn, pasted to orange construction paper after I’d written it out longhand on lined paper in the most careful script my little girl hand could muster then. Autumn was my favorite word that week, from the vocabulary lessons I did with my father at the kitchen table together on Sunday nights. 10 new words each week whose definitions and pronunciations he helped me to learn until I could use each word in a sentence. I’m sure I learned the word autumn during October as the leaves of Southeastern Pennsylvania were turning their vibrant colors. I still have that first poem, the construction paper faded from brilliant orange to a muted ochre, not unlike the dusted and bleached colors of the high desert I now call home. When my father passed in 2007, I found that poem in a hidden file of poems I’d written over the span of 30 years that he had kept. The poem itself now hangs in my studio where I write, to remind me of one of my first loves, this business of words and image. I was blessed by my father’s deep presence, his love of language and justice and service that have influenced me indelibly, as did my mother’s strength and resiliency. 1. One in four women and one in seven men will experience some form of violence at the hand so their partner in their lifetimes, according to The Center for Disease Control. 2. Three women and one man are killed A DAY in a domestic-violence related tragedy, according to The Bureau of Justice. 3. Literally millions of children witness domestic violence during their upbringing, with half of them experiencing directly being abused, according to the US Justice Department. The statistics do, indeed, warrant the use of the word EPIDEMIC to describe the prevalence and impact of such intimate and often vehemently hidden violence. I myself am a survivor, as my brave mother was before me. It was through poetry and telling the truth of my own history that I was able to reclaim my own life after it had been ravaged by the violence that I had experienced. Poetry gave me the entry point to save myself, to break the silence in which the violence itself bred and to move forward understanding that the violence itself did NOT define me BUT that my actions in the face of it did. My first collection of poems, the scorched earth, is the account of my coming to terms with that history and moving forward to becoming the poet and activist and speaker and woman that I am now so grateful to be. I self-published the scorched earth many years ago and am honored to have that collection reissued as a Second, Expanded edition, with a full-length compact disc companion included, in early 2014 by an award-winning press. If someone had told me all those years ago when I first published that collection what would unfold by doing so, I would never have believed them. And yet, here I am, at the onset of October, aware that telling the truth of my own story not only saved me, but made it possible for the life I now live and to offer that unfolding out in service to others who are or have experienced such violence themselves as they find their way forward into hope and healing again. If you are a victim or a survivor, you are not alone. There are so many resources available to assist you and so many people around you who have experienced what you are going through. CAREFULLY reach out and ask for help. The SURVIVOR’S RESOURCES page on my website is an exhaustive list of international, national and statewide programs available to help you reclaim your life with dignity and hope. As we enter October, the month of honoring survivors and the month in which poetry helped me to save myself so many years ago, I hope that you are surrounded by people whose hands hold you gently, whose presence is only blessing, who remind you daily as my own father did for me that YOU are worthy of love and patience, of kindness and compassion and of a world in which you are nurtured and safe enough to thrive.